The 9th Annual Summer Jam! Noonday Park is conveniently located within driving distance from South Carolina, Charlotte & many other major East Coast locations. If you are looking to bring a high school team to this event, then check out the Southern Summer Invitational! Family Friendly Scheduling: We schedule your games in a morning or afternoon block. Half of the day on the field, the other experiencing Atlanta & the surrounding areas. If needed, divisions may be combined. Atlanta, GA is just a short drive away from Kennesaw, and serves as the largest metropolitan area in the state. Visit the states capital to experience an eclectic mashup of residential, art, shopping, and theatre with the perfect southern flavor. 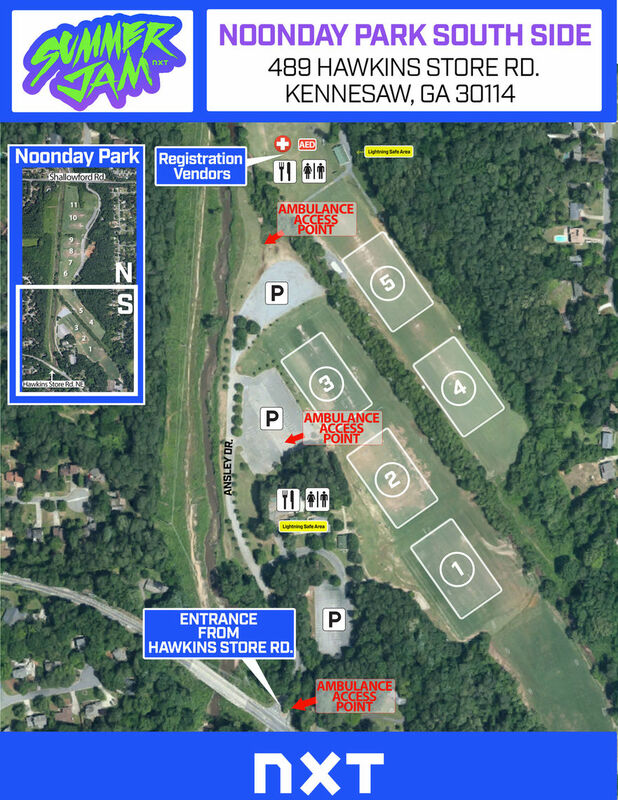 South Entrance (Fields 1-5) - 489 Hawkins Store Rd NE, Kennesaw, GA 30144 / North Entrance (Fields 6-12) - 548 Shallowford Rd, Kennesaw, GA 30144 / Noonday Park is an all-grass event facility just around the corner from Kennesaw State University. 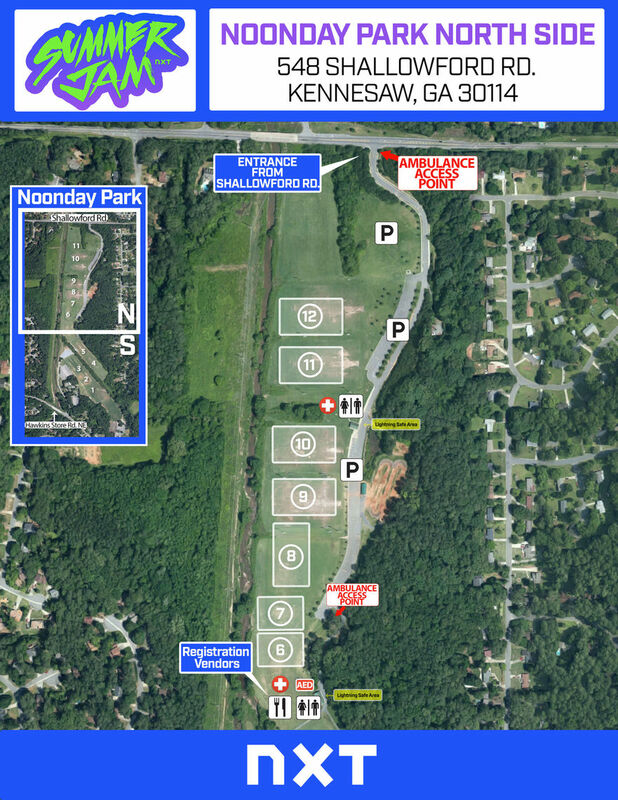 Noonday has room for 12 full-fields, a Picnic pavilion, Playground, BMX Track, and two Concession buildings. There is ample room for team tailgates and headquarters. Need a spot for your high school teams? 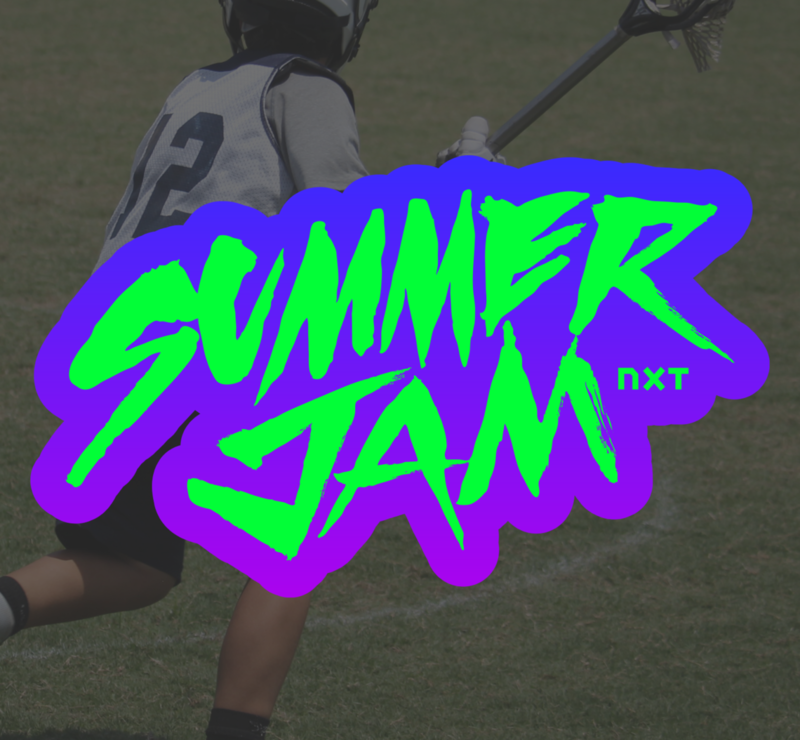 Our Southern Summer Invitational is our invite-only high school event in the southeast! Click the button below to learn more about the event.